I am not going to imply that any woman needs a man to be happy or that ultimate happiness can only be achieved by being half of a romantic relationship. Some women are perfectly happy without a boyfriend. However, some women who are successful and independent can become so wrapped up in their busy lives that they become detached and push away the opportunity for a happy relationship. 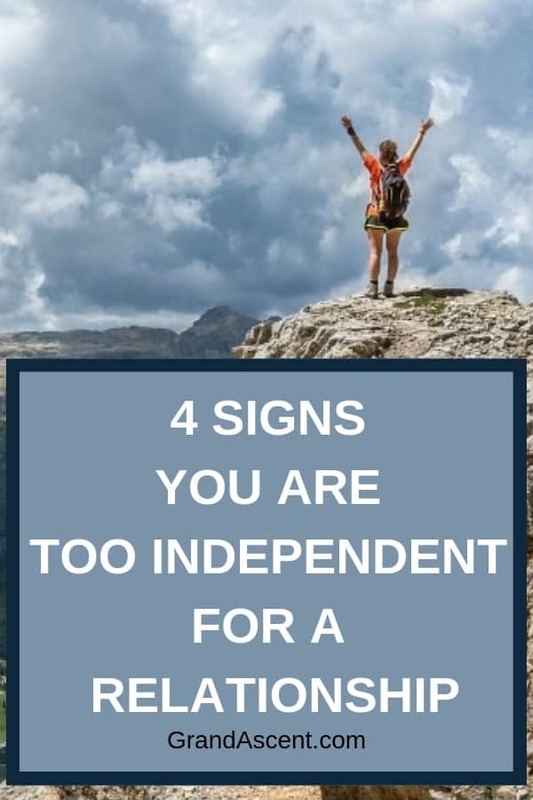 Are you too independent for a relationship? You keep yourself busy with your career, friends, activities, and family. With all of these things going on in your life, you barely have time to rest, much less pursue romantic interests. Any boyfriend will, no doubt, want hours and hours of your time and you just don’t have it to give. 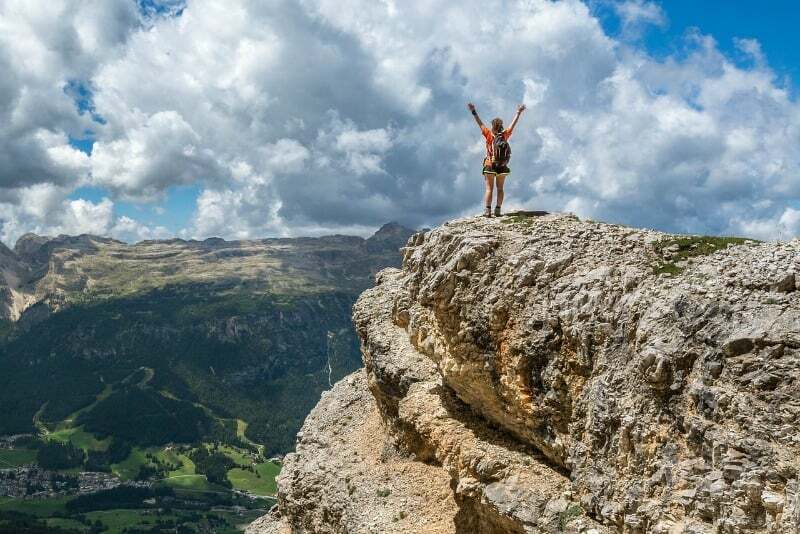 Dr. Miki Kashtan, Ph.D suggests that when we use the phrase “I don’t have time,” we are shifting the responsibility of making something a priority to an uncontrollable force outside of ourselves. However, each time we say those words, we are making a choice. If you truly are looking for a relationship, you will have to make time. Sure, you have a ton of obligations, but you have to decide which of those are a priority. 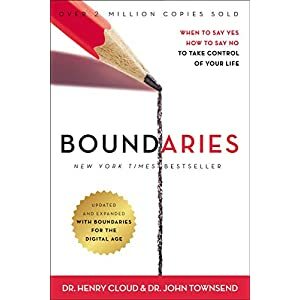 Boundaries Updated and Expanded Edition: When to Say Yes, How to Say No To Take Control of Your Life You’ve seen it happen with your friends; maybe you’ve experienced it in relationships yourself… Two people in love become can become so dependent on each other for happiness that they forget who they are without their partner. You prefer to maintain your autonomy and not define yourself within the context of another person. There is a big difference between co-dependence and interdependence. Psychotherapist Ross Rosenberg suggests that, by setting boundaries, focusing on yourself, and creating connections with other people, you can avoid becoming involved in a codependent relationship. It is possible to find a healthy relationship that involves sharing your lives and giving and receiving support to one another without forgetting who you are. I understand this. For a lot of women, it is important to feel like you can make it on our own. You don’t want help from other people and you don’t feel like you need a man to take care of you. You don’t need a psychotherapist to figure this one out. Stop being so stubborn and let people help you. There is a balance between being needy and being too independent to ask for help. But most men like to do things for you because it makes them feel like they add something to your life. Let them open doors, help you solve some of your problems, and look at your car’s engine when it’s making a funny noise. It makes them feel needed and appreciated. This way, you can make sure your drive to succeed isn’t being read as “I don’t need a man,” which can be intimidating. Whether it is a parent, a friend, or a boyfriend, someone who cares about you will always have an opinion about how you are living your life. Some men might try to influence your decisions, others might try to control you, outright. But you prefer to make your own decisions and live your life your way, without someone else trying to control it. If you are in a healthy relationship, this won’t be a concern. According to licensed marriage and family therapist, Darlene Lancer, people in a healthy, interdependent relationship have enough self-esteem that they don’t have to control someone else to feel okay. Each person will actually have more freedom because there is a mutual respect for each other’s personal goals. Look for potential suitors who have enough confidence to allow for your independence. You are self-sufficient and capable. There isn’t much that you can’t do for yourself. But it is conceivable that you are closing yourself off from the possibility of a relationship. If you want to find a man to share your life with, you just need to let go a little. But if you are happy being alone and “doing you”, don’t let anyone stop you. I agree that sometimes you do forget how to be happy on your own when you are in a long term relationship. I like to see people doing things separate as well as together, that gives you the impression they are independent and able to stand on their own feet without their other half. Then there is the other side of doing too much on your own and not giving enough time to your boyfriend/girlfriend. I can find happiness in many things, so therefore I am not dependent on my significant other to make me happy. You’re right, just because I’m in the relationship doesn’t mean it defines who I am. I am the same person I was before the relationship. I know a couple of people like this. They don’t seem to need anyone to make them happy. I think making yourself happy is a great attribute to have. I do think that people should open up and let others in. There are a lot of people who have a hard time letting others in and therefore are unable to create relationships with other people. Happiness is a state of mind and some people just can’t seem to find happiness because they aren’t open to it. No time to date? That is like saying you are too busy to find love. I do agree that these people are happy with the way their lives are heading. Either that or they are too scared of rejection. I do agree with this too. I am happy with who I am. I am happy and can find happiness on my own too. I am also happy with my hubby. I think those are the best relationships – when you don’t have to depend on each other to supply total happiness. This is a very interesting topic. One aspect it fails to cover though is women who start out wanting to be independant, live that way full tilt and accomplish what they wanted to. Then they wake up one day and realize they never did learn how to communicate with men on a personal level, and that they really want to. They never intended to live alone their entire lives, but they’ve painted themselves into a corner where being alone forever is more realistic than finding someone. It’s sad to see and you really want to help them, but they’ve lived so long and accomplished so much by not accepting peoples’ help, especially from men, that they’re uncomfortable and unversed in even that. I am like that but I am also in a relationship now, we will be having our 10th anniversary later in the New Year. I don’t think you can characterize people up like this into four simple groups, it is not that simple. when there is no real love.